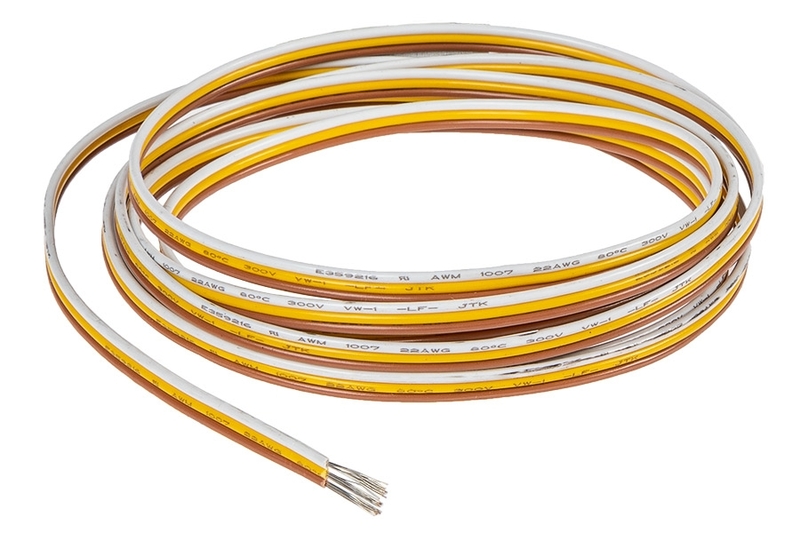 This 3-conductor, 22-gauge power wire is designed for low-voltage CCT LED lighting strips. 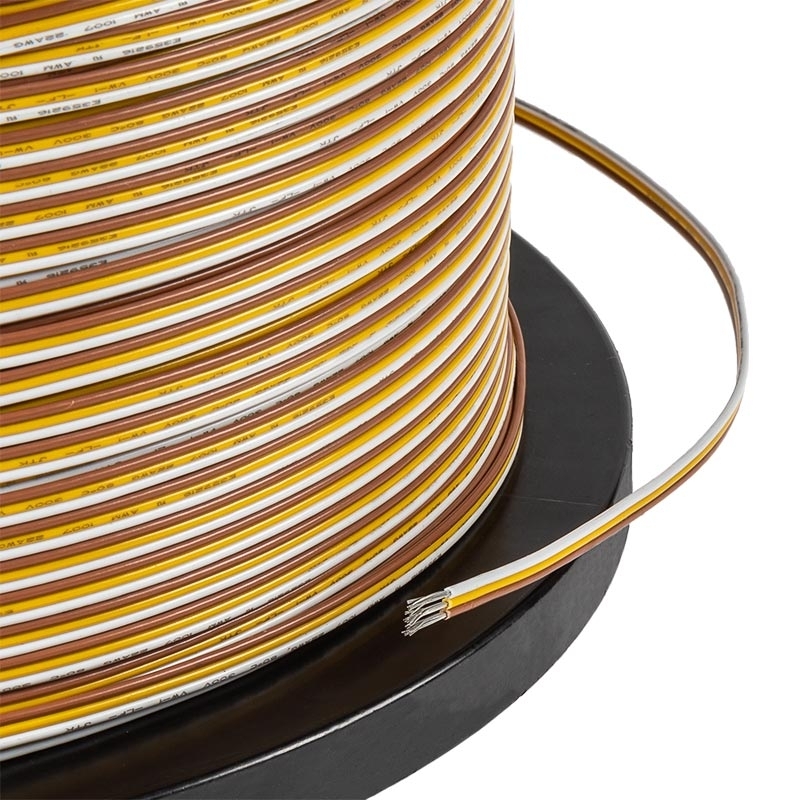 It is UL-Listed, PP-insulated, and CMR rated flame-retardant. 2.2 amps per channel. Price per foot.